Willian - The victim of circumstance under Antonio Conte at Chelsea. 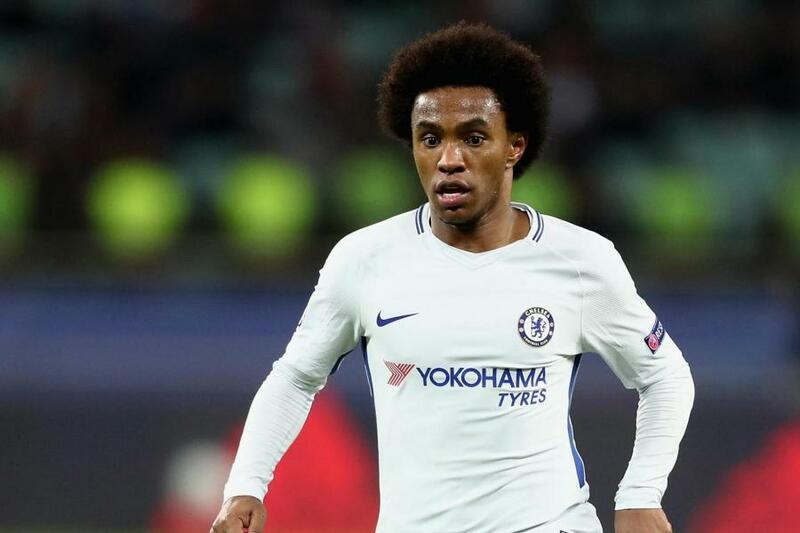 Despite scoring two goals this week against FC Qarabag, Willian is expected to be named back on the Chelsea bench for our trip to Liverpool. 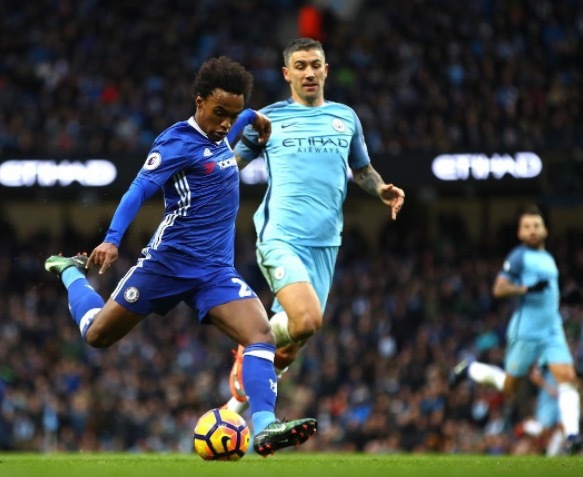 Chelsea's Player of the Year two seasons ago, Willian has found life tough at Chelsea under Antonio Conte for many reasons. He has never been able to maintain a regular start ever since the passionate Italian arrived in West London and as expected, we are reading in recent days that he could be looking for move in January. 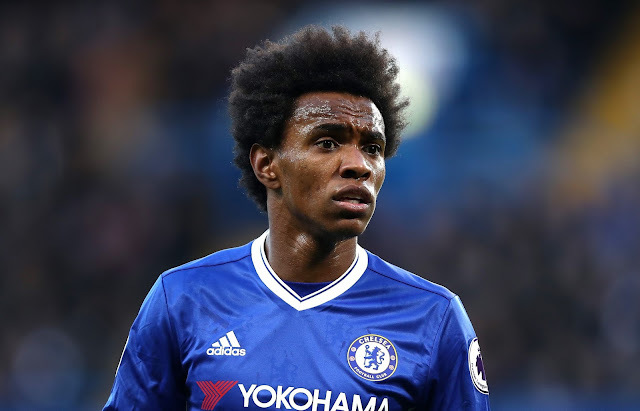 Having made a good start to life at Chelsea under Conte, Willian had to deal with the loss of his Mother during the course of last season and was given time to grieve to spend with his family. Unfortunately for him, during that period Pedro was given a chance to play in our three-pronged attack alongside Eden Hazard and Diego Costa and never really looked back for the remainder of the season. That's no fault of Pedro in all of this. He was given an opportunity and took the chance he was given. Back then, if we were playing well you would believe that the manager would like to stick with the same players and let's not forget we managed to go on an incredible thirteen-game unbeaten run which played a huge part in our title success last season. Willian had to settle for a place on the bench to then hopefully come on in games and make an impact as he did against Manchester City away as we beat Pep Guardiola's side 1-3 after being a goal down at half-time. It was one of our most impressive performances. In total, Willian made 41 appearances for Chelsea last season in all competitions, scoring 12 goals and won his second Premier League title. So to this season and once again in the summer Willian was being linked with a move to Manchester United as reports stated that Jose Mourinho had made him one of his main transfer targets. That move never materialised as Willian once again re-affirmed his commitment to Chelsea. However, once again this season with Chelsea's bad start to the season conceding too many goals and Antonio Conte trying to adapt his squad to the demands of Champions League football in addition to the domestic competition, the manager had to make another important tactical decision. What could he do to stop the rot as far as the amount of goals we were conceding in games? How could he adjust our formation to make us solid at the back whilst still maintaining the attacking threat we have? The decision to switch to a three-man midfield has been a god-send to our defence and for time being has improved our stability, this is of course coupled with the return to fitness of N'Golo Kante. The partnership of Tiemoue Bakayoko and N'Golo Kante in front of our defence in addition to Cesc Fabregas who is given freedom with Eden Hazard to play in their preferred positions has given new life to the team. As we know by playing with three midfielders and two wing-backs, you have the option to play two up front alongside each other or play a main striker in attack (Alvaro Morata) and an out-and-out number ten in behind him (Eden Hazard). By doing so, the likes of Pedro and Willian have had to settle for a place on the bench to be used when necessary. 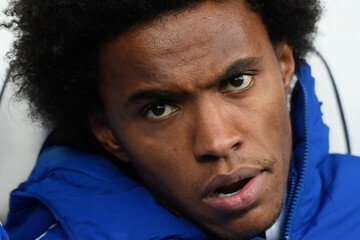 Willian could play as the number ten supporting Alvaro Morata but with the fabulous ability he has demonstrated with his two goals this week against FC Qarabag, he is never going to play ahead of the main man Eden Hazard who is on course to becoming much more of an influence in games in the Premier League and Champions League by playing in behind the striker again with freedom to go and play given to him by the manager. Unfortunately, for the second season running under Antonio Conte, Willian has become a victim of circumstance at Chelsea through no fault of his own. Let's hope he stays at Chelsea and does not look for a move away this time around.